This is one of the top 10 topics addressed by our support team on a daily basis. It goes something like this: "My HOA says that I can't put up a TV antenna. Can they do that?" The short answer: No, they can't. The long answer: Well, maybe, but it depends on how you install the antenna. Read on to learn more. Did you know that you have a right to install a TV antenna on your home? It's true, so sayeth the U.S. Government. The FCC calls it the Over-The-Air Reception Devices rules, or, unfortunately, OTARD. OTARD came about as part of the Telecommunications Act of 1996 and mainly applies to satellite antennas and TV antennas, since those are the two most common items that people would mount on their house in order to receive video signals. 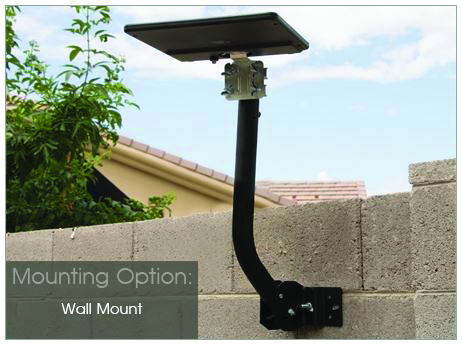 In effect since October of 1996, the rules establish that you have a right to install a video antenna on your property, regardless of whether the property is owned or rented, and it specifically prohibits restrictions from an HOA, landlord or property manager that would: (1) unreasonably delay or prevent installation, maintenance or use; (2) unreasonably increase the cost of installation, maintenance or use; or (3) preclude reception of an acceptable quality signal. You can install only the number of antennas required to receive the service, no more. Your installation must stay on your property and cannot cross over into a neighbor's property or a common-use area. If you are in a multiple-dwelling unit such as an apartment complex or condominium that already supplies a central antenna to service all units of the property, it's possible that you may not be allowed to install a separate antenna for personal use. Your HOA may restrict the allowable height of your antenna installation if the height is deemed to be excessive, unnecessary or unsafe. Your HOA may restrict the location of your installation (for example, the back of the house rather than the front) only if the requested location does not interfere with your reception or cause you undue expense. 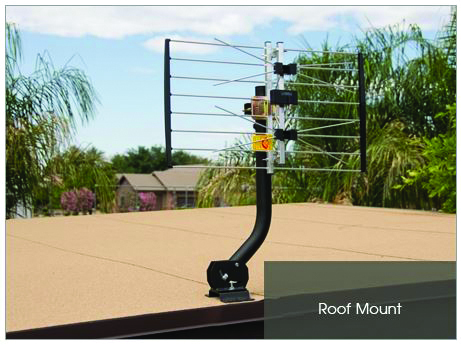 If you have encountered a situation in which your HOA or property manager says that you cannot install a TV antenna on your dwelling, it's very possible that the HOA by-laws were written without knowledge of OTARD. In this case your best option is to explain, in a conciliatory manner, that there are in fact government regulations in place that allow you to install a TV antenna, and that you would appreciate working with them to establish an acceptable installation method and location. 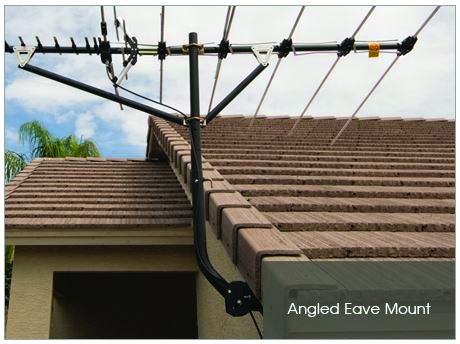 TV antenna installations do not have to be large, unsightly contraptions. If you live within 60 miles of broadcast towers you have many options for installing a low-key, smallish antenna that is not likely to be noticed by the neighbors. 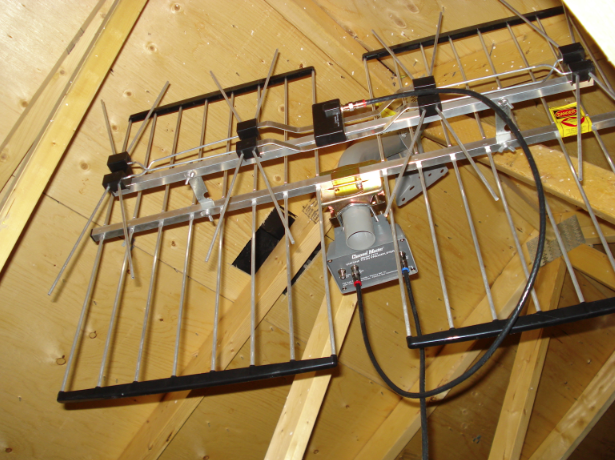 If you have an attic with enough space to fit an antenna, an attic mount is an excellent option and you can avoid the HOA question entirely. If you've already tried talking with your HOA or property manager, shown them the OTARD rules, and they are still insisting that you cannot install an antenna on your property, you have the option to file a petition with the FCC. In this case, the burden falls on the local government, community association or landlord to demonstrate "local concerns of a highly specialized or unusual nature" that would cause them to deny your installation request.